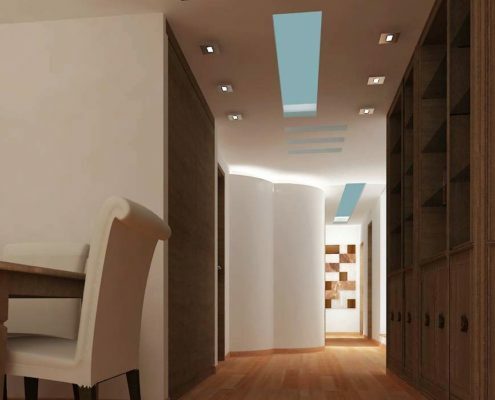 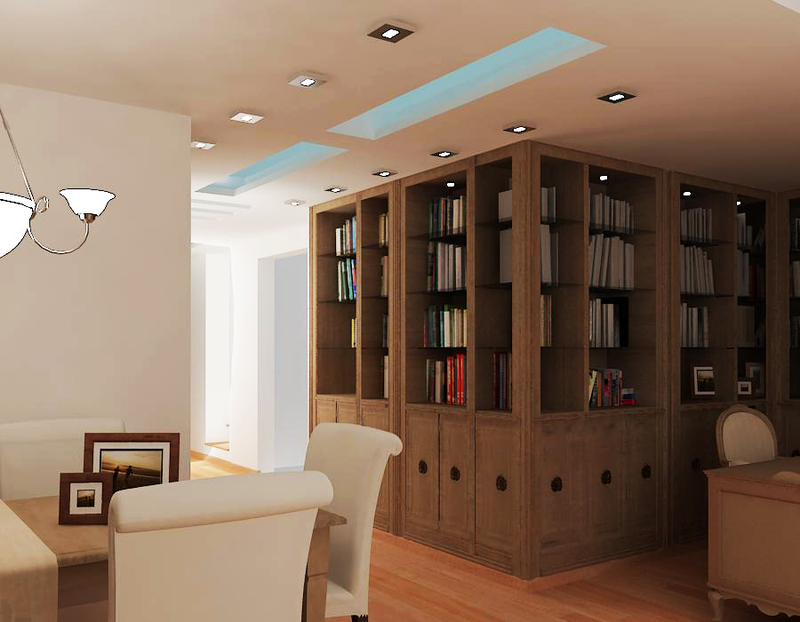 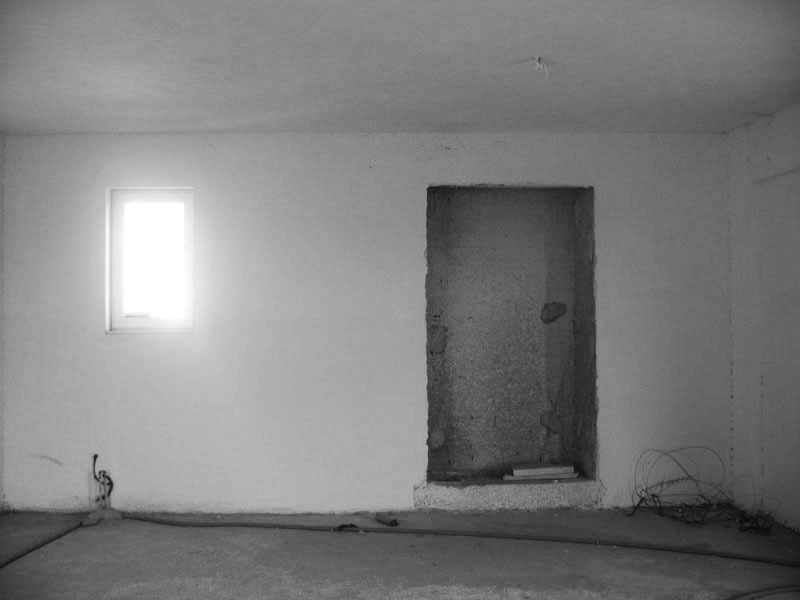 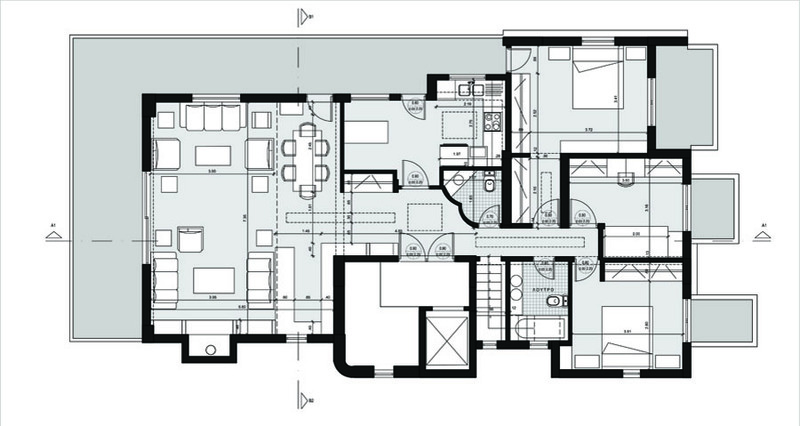 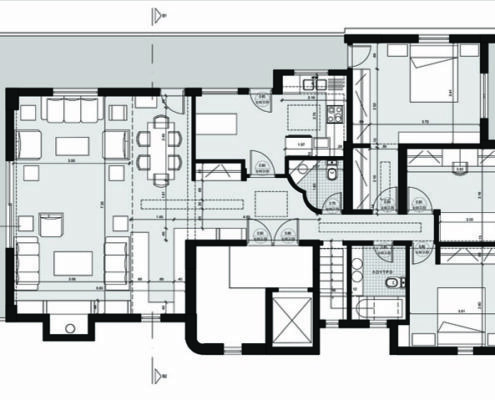 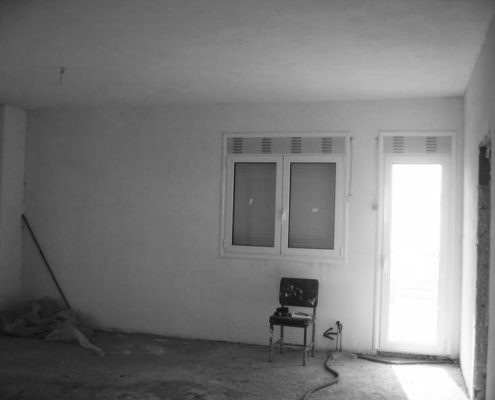 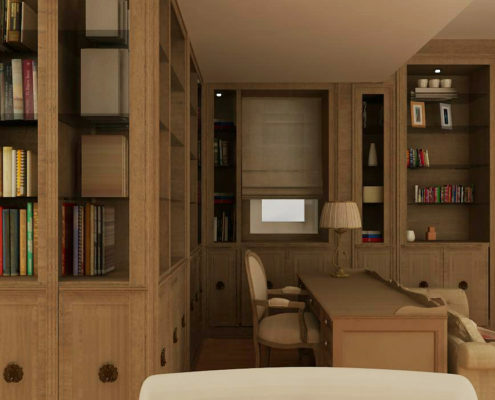 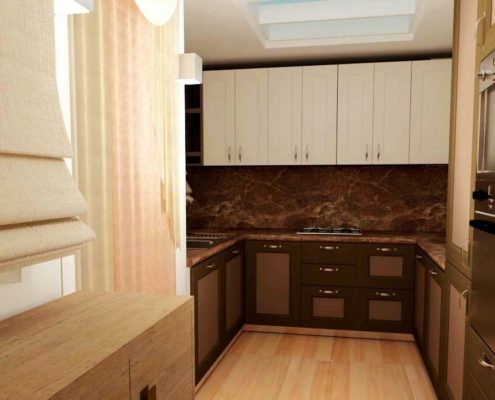 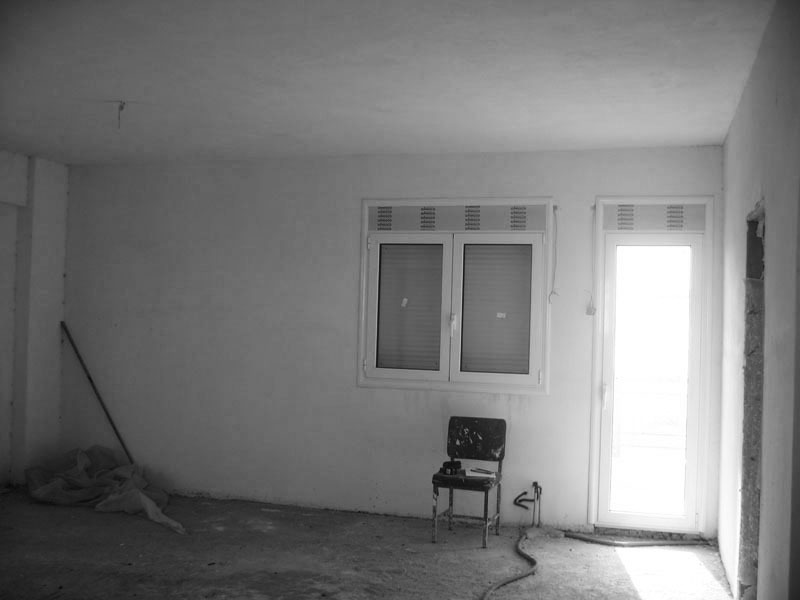 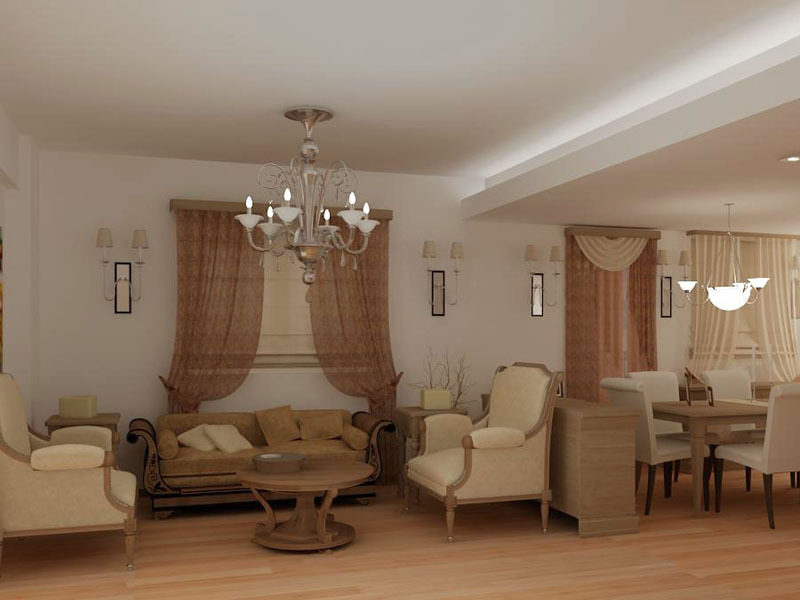 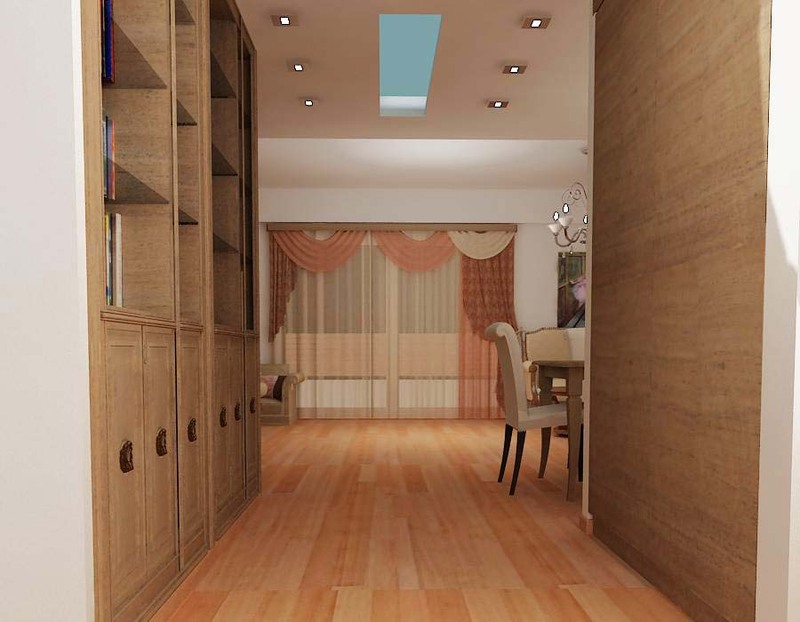 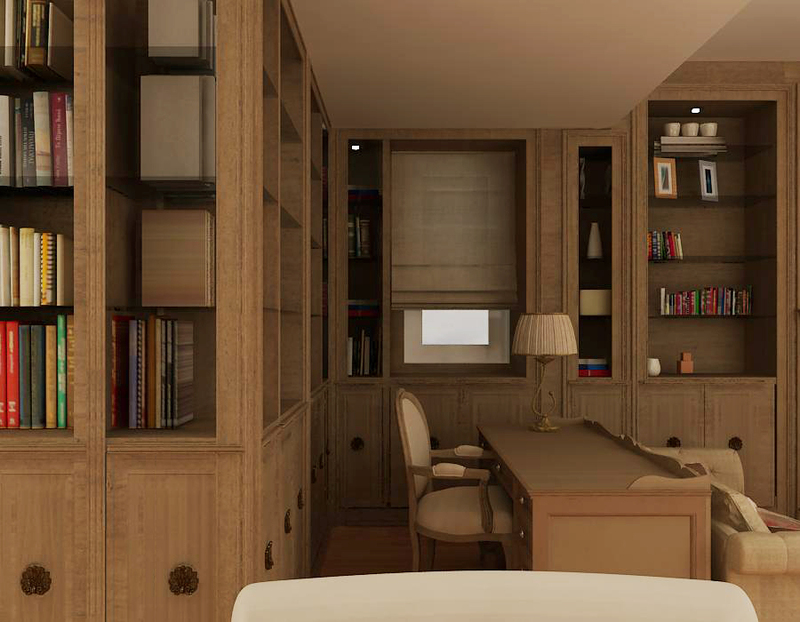 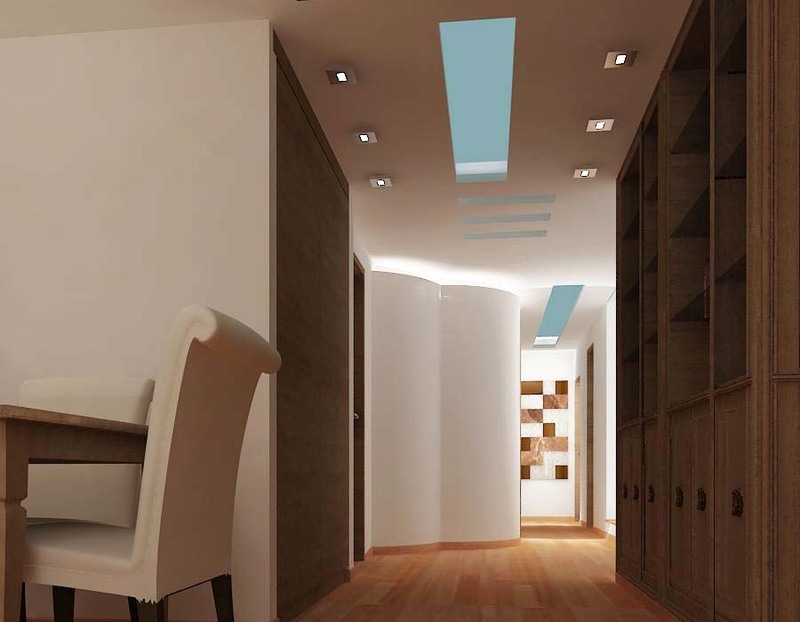 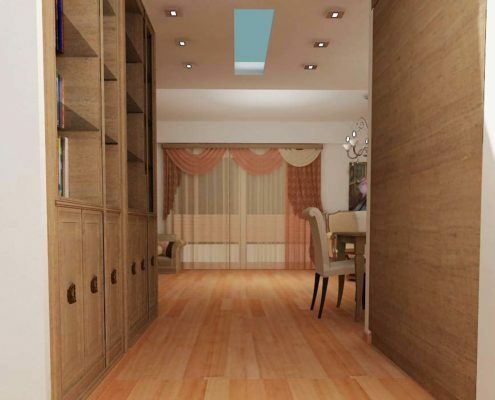 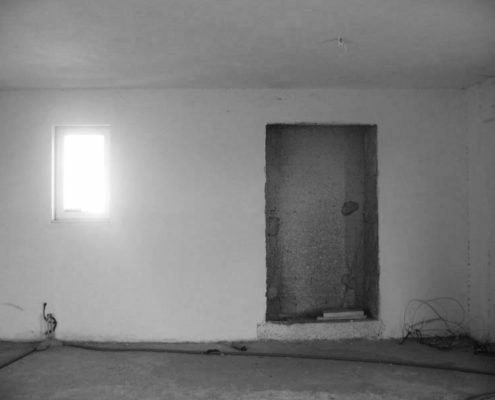 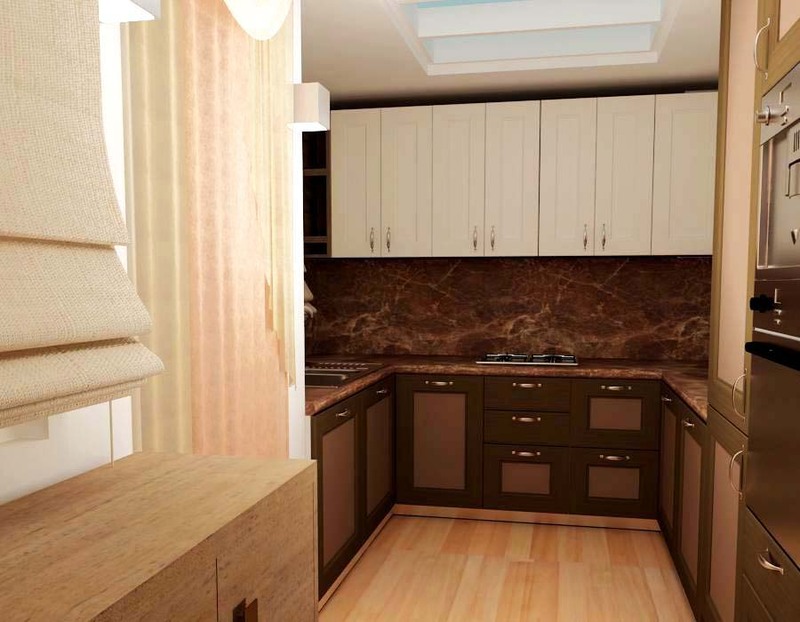 The existing flat was unfinished and the owner asked to remodel the interior of it. 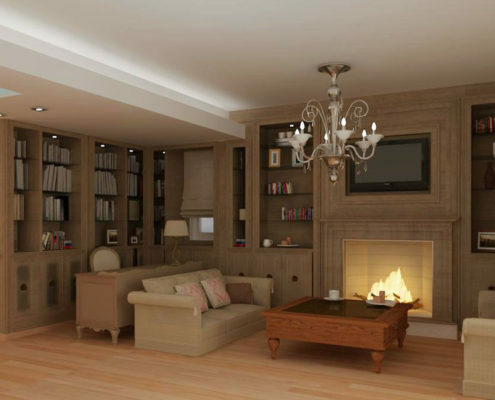 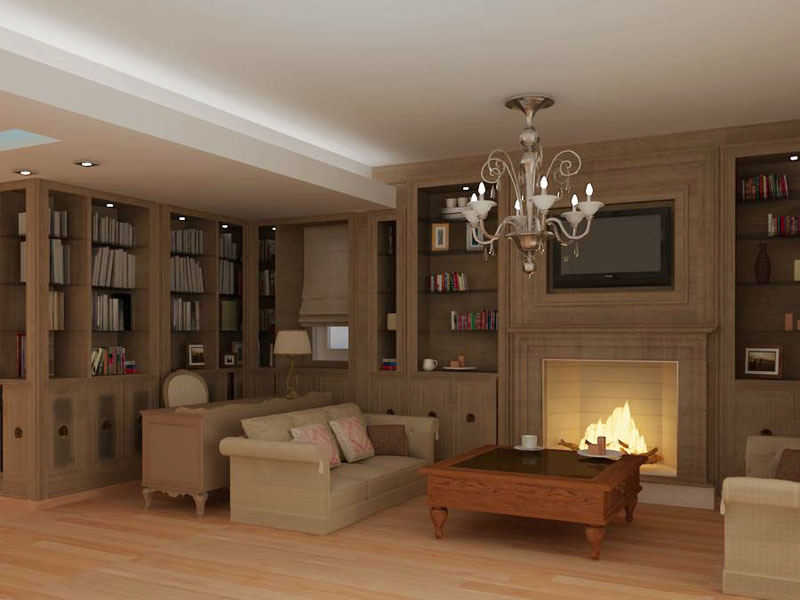 She asked to redesign the living room with the fireplace and add a home office in it. 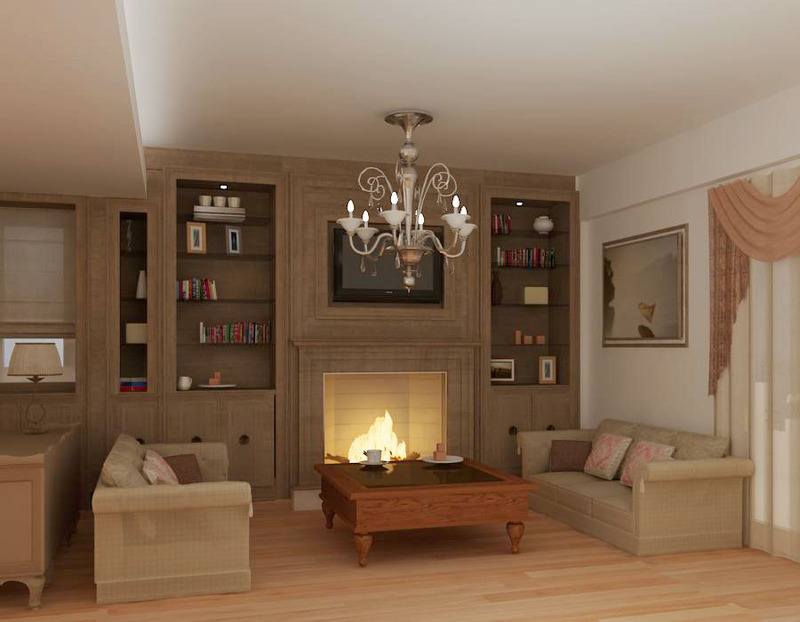 The style was requested to be classic with wooden elements. 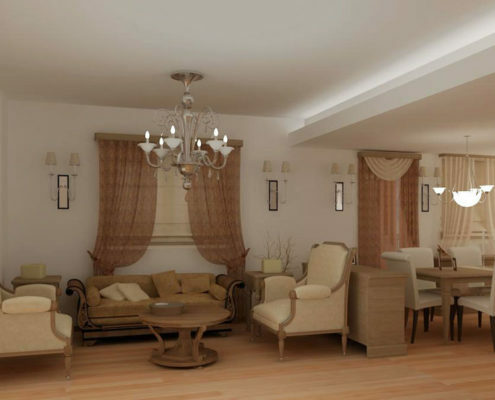 Along with the living room, the dining room and the kitchen and were designed, too.